Hi! I’m Amy Bohn, co-owner of Spa Habitat and Clovertree with my husband, Greg. In honor of Breast Cancer Awareness Month, I wanted to tell you my story. At the end of 2016, at the age of 45, I went in for a routine mammogram because of a family history of breast cancer. The mammogram showed a tumor on my right breast. 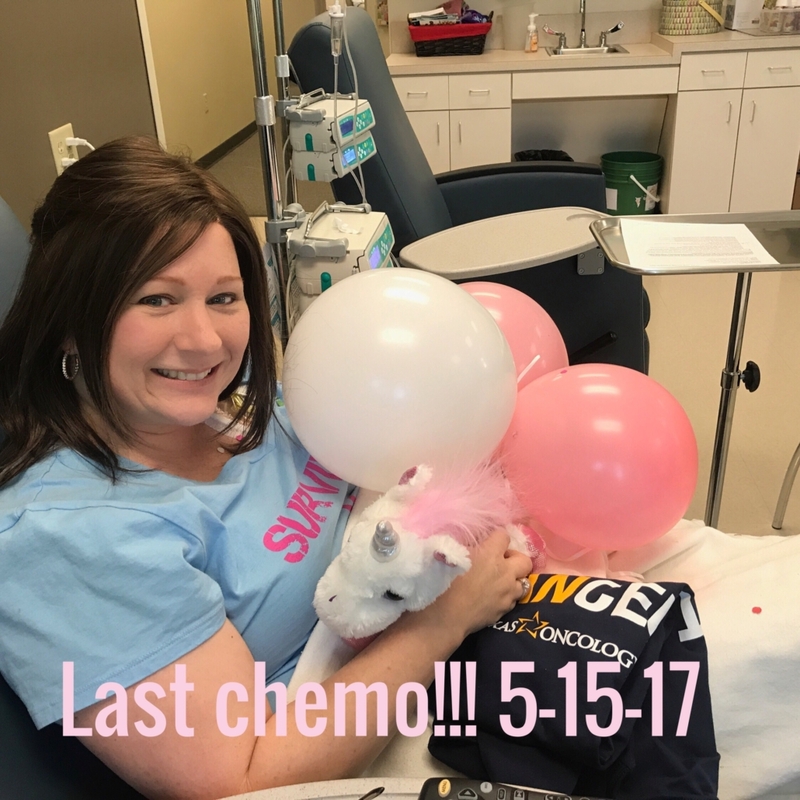 After a second mammogram, an extensive ultrasound, and a needle biopsy, I was diagnosed with Triple Negative Breast Cancer, the most aggressive form of breast cancer. 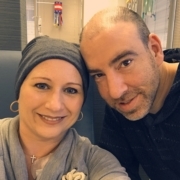 We caught it early, but because of the rapid growth of the tumor, the only choice was immediate surgery, followed by 5 months of aggressive chemotherapy and 33 rounds of radiation. My family and friends prayed for me, supported me, held my hand, and took care of my kids. I couldn’t have asked for a better support system. I know that not every cancer patient has that kind of support. We saw a LOT of cancer patients every week at my treatments. Some were going to be ok, and we knew that some wouldn’t. It was so eye opening to see the number of people and families that were affected by this awful disease – cancer. Now, a little over a year after finishing treatment, I am cancer free. And I am thankful. And I am blessed. 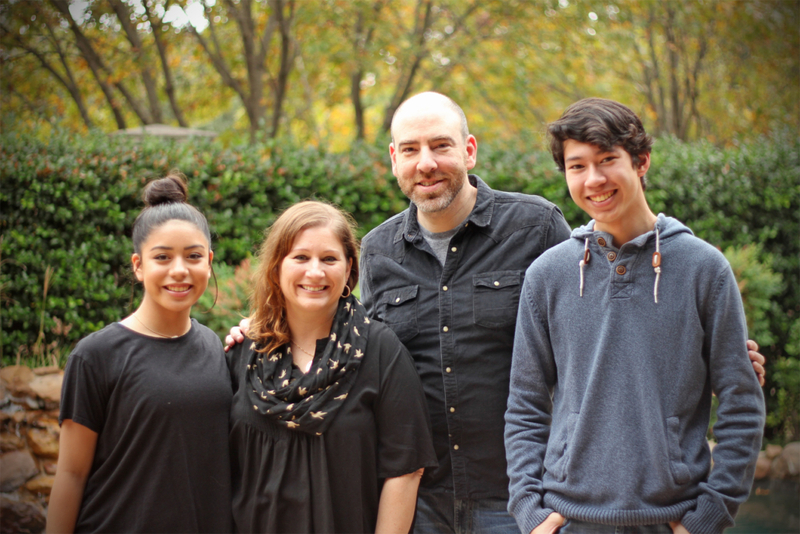 This is me with my family, about a week before I started my chemotherapy and lost all of my hair. I am blessed to have such a supportive family. They stood by me and encouraged me all the way through the battle. So much more research needs to be done so that people don’t have to suffer and lose their lives. Cancer is ugly. And going through this experience makes me even more motivated to raise awareness. You can help yourself through a healthy lifestyle, eliminating toxins from your diet and your personal care products, and also through early detection. If you are 40 years old or older, or if you have a family history of breast cancer, PLEASE get a mammogram once a year. It is likely that I would not be here today if I had not been committed to yearly mammograms. From October 17-31, in honor of my experience with breast cancer and my desire for no one else to have to go through this awful disease, Spa Habitat will be donating 20% of all Clovertree product sales (at any Spa Habitat or online at www.clovertee.com) to the Breast Cancer Research Foundation. We chose BCRF because they give 91% of donations directly to research, including the environmental causes of breast cancer. Research saves lives. Mammograms save lives. We hope that you will schedule a mammogram for yourself and encourage the women in your lives to do the same. It was an absolute honor to be nominated for Best Day Spa by Plano Magazine’s Best of Plano 2018; however, it is an even greater joy to share with you that we WON!!! A huge thank you to our Spa Habitat Family (that’s all of you) for voting for us and sharing how much that you love and support us. Spa Habitat was initially created to fill a void in the organic spa market. We believe in what we do and the benefit of living an organic lifestyle. We strive to create the best and cleanest products and services for you. We are eternally grateful that you, too, believe in us and have received us with open arms. We are living our best organic life right alongside you. Thank you, again, for voting for us and showing us that you believe we are the Best Day Spa in Plano, Texas. I absolutely love the Apothecary at our newest Dallas spa location in Preston Hollow. It feels like you have walked right out of Dallas and into a relaxing and serene farmhouse where all your troubles are miles away and you can sit back and be still. All of the Clovertree Apothecary products are beautiful by themselves, but the furniture is also all reclaimed and vintage. If there was a rocking chair in the corner with a glass of southern sweet tea, I’d never leave. It is absolutely worth the visit. Call our Preston Royal location and book an appointment (214.361.7787) or Book Online. You can find all of our locations online here. Walk in, take a deep breathe and enjoy our relaxing farmhouse.